Notice! Hotel Su does not accept reservations at this time. Please try again later. Hotel Su Contact. Hotel Su provides a splendid view over the Mediterranean Sea and Taurus Mountains. The hotel opened its doors in 2003 and was remodeled in 2008. It is located 10 minutes' drive from Konyaalti Beach, Kesik Minaret Mosque and Kaleici. The property is 150 meters away from Antalya Aquarium, ANTALYA AQUALAND and 5M Migros. Hotel Su overlooks a harbour and gardens and provides quick access to a white beach. This contemporary property comprises 294 guestrooms with modern facilities. The stylish rooms feature the sea view. They also have family bathrooms with free toiletries, a hairdryer and bath sheets. A deluxe breakfast is served at the dining area. The hotel features an open-air restaurant serving Mediterranean cuisine. Live music, billiards and darts are provided in the Lounge And The Sushi bar. Guests can reach Hotel Su by car from Antalya airport in 15 minutes. There are car and bicycle rental services at the hotel. The property offers a health club, a spa lounge and a Jacuzzi along with steam baths, reflex massage and Turkish bath. Active guests will enjoy aerobics classes, aqua fitness and gymnastics classes as well as sailing, canoeing and jet skiing. Hotel Su accepts VISA and reserves the right to temporarily hold an amount prior to arrival. Hotel Su accepts Master Card and reserves the right to temporarily hold an amount prior to arrival. Hotel Su accepts Maestro and reserves the right to temporarily hold an amount prior to arrival. Hotel Su accepts Bank card and reserves the right to temporarily hold an amount prior to arrival. Hotel Su accepts ATM card and reserves the right to temporarily hold an amount prior to arrival. A credit card or cash deposit is required upon check-in at the hotel. Photo identification is required when you enter the hotel. Children under the age of 12 can stay free of charge. what I liked about this hotel: Super friendly and helpful staff, live music, easy access to everything (beach, play grounds, pools indoor and outdoor, literally eeevverrything...) you don´t need to leave the hotel at all if you don´t want to, even they have got a doctor and hair dresser available for the guests. 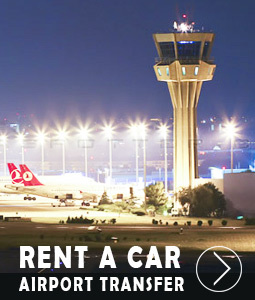 What you need to be careful about in turkey is the taxi drivers that rip you off everytime. In this hotel you just need to tell the reception that you need a taxi, in 30 seconds a taxi is waiting for you outside the hotel. By this you know who to refer to in case of any problem. What I did not like: nothing. It´s maybe not the cheapest hotel in Antalya but it´s literally worth every penny. Update: I had to change my rating from 5 stars to 4 due to a poor experience one night. There was a wedding party one night when I was in this hotel and the music was extremely loud until late in the night and it was impossible to sleep. 5 Stars Resort, Best place to spend your vacation. The swimming pool, Beach area & Spa very lovely. Everything is good here but u can’t bring food or drinks from out side of the hotel and they give u water only for the first day for free except that the hotel is good for relaxing nothing more. Stay away from this hotel if you don't want to ruin your holiday. Stuff in spa (females) were so unfriendly, steam room was switched off, and they lied it had technical problem, but after arguments they told me to come back in 1 hour. When I came back, I asked same receptionist if it is working already - she told me - I don't know- go check if you want. Unbelievable customer service! I went to check and it was no working!!! After complaints to reception eventually they switched it on but it was so rubbish, I spent 1 hour in it but it was hardly steaming... Next day it was off again :) ! I could not find a jacuzzi and asked female receptionist to show me where it is, she was refusing to show directing me by words, but I struggled to find as it was hidden in gym, when I asked her again to show it to me she with such an angry face went to show it to me, then saw a guy stuff and asked him to show me the way. So abrupt so unfriendly, absolutely rubbish customer service. Stuff in customer service are so young people with an attitude, most of them have no idea what is customer service, they don't talk to you like customer service normally do, they never smile to you... stay away, I warned you. . Hotel is not too bad, but definitely not 5 stars. Maybe 4 with a big minus -, as it needs a bit a refurbishment. Definitely they have issues with stuff and need proper training in customer service. This hotel is as much white as a place can be except the yellowing on my tv and the scuff marks on the walls. The lobby here is opulent and the rooms are open and white of course. The lobby and hallways are lit up with red but the lamps in the rooms can be changed to regular LED. Overall this hotel is a good place to stay if you'd like to experience the ocean and have a place you don't really need to leave so you can stay comfortable. I will say to double check your booking if using a discount site as the cheap room might not include breakfast or other amenities. The taxi ride from here to old town was around 20lira and the same back, maybe a couple lira more due to driving around buildings to get out, which every taxi has to take. Overall I'd say this hotel is not for those who want to party, the beach club bar is pretty dead at night. Though this might be the time of year making it dead. The prices seem to match up to US bars as in $6+ a shot. This hotel is not within walking distance of old town in my opinion. The taxi ride will take you to the old town for about 20lira and is worth it. Also a taxi ride from and to the airport was around 70 lira.